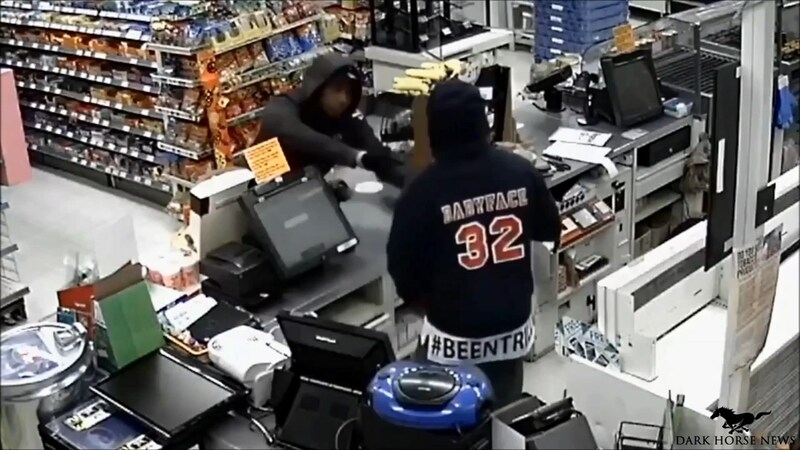 Las Vegas Metro Police have released surveillance video of a robbery at a convenience store where the store clerk was pistol-whipped and left unconscious. Police say the suspects took several items from the store including cash. They even took the clerk’s wallet and cell phone. Impossible. Everyone knows that Blackmericans are all unarmed and too busy turning their lives around to injure, rob, or kill white people trying to work. Ridiculous! … The upstanding black member of the community observed some flies on the clerk and was trying to help him out.